On June 25, 2009, I listen to Guy Kawasaki speak in San Diego. About half way through his presentation of demos on social media he gave a shout out to the audience of 500 about me and my company, Adjix. Everyone seated at my table turned and looked at me, "Who's this guy?" I was feeling great after leaving that breakfast presentation until I got home and learned that Michael Jackson had died. I wasn't a big fan of MJ, but his music is... powerful art. What quickly got my attention was that a customer had used Adjix to link to the news of MJ's death creating a huge load on the Adjix app servers. The web and database servers were humming along, without a problem; but the apps were bottlenecked by REST calls across the Internet. With the CPU cores pegged at 100%, I began manually spinning up more app instances to balance the celebrity server overload – which lived up to my expectations. This morning, Prince died. Prince and the Revolution were my first rock concert when I was a kid. Prince wasn't suppose to be my first... Styx was... but Tommy Shaw hurt his hand, as it was reported in the news, and the Styx concert was cancelled (not postponed). 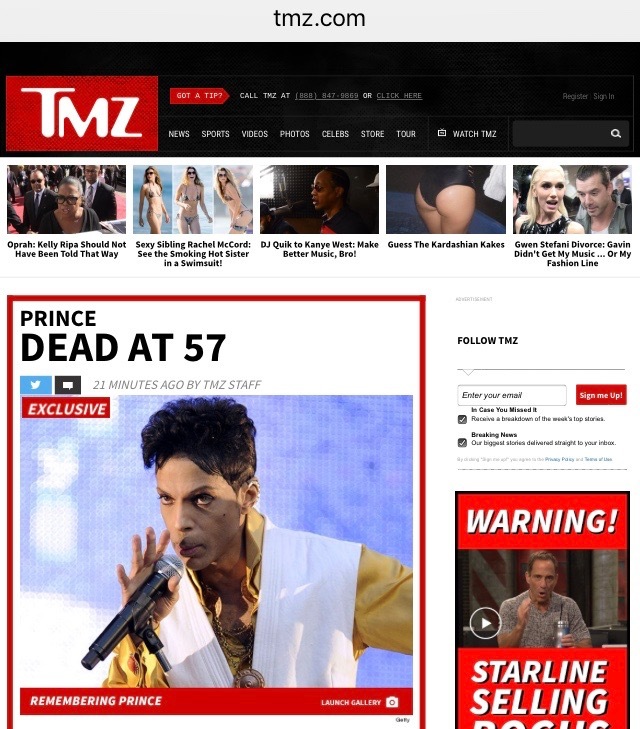 To confirm the news of Prince's death, I went to TMZ.com but their servers were down, "503 Service Unavailable." That HTML error code simply means, "No more! Uncle! I'm temporarily overloaded." After giving TMZ.com a little time, their servers were handling requests, again. "Damn it. 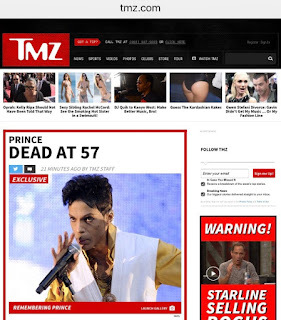 Prince is dead. And he's young, too young to die this soon."